Well I’m away on holidays now with family so expect these last two posts to be short. I don’t want to take too much time away from spending with them. That, and, my brother in law brought me some beers from Alberta and those need some attention too. 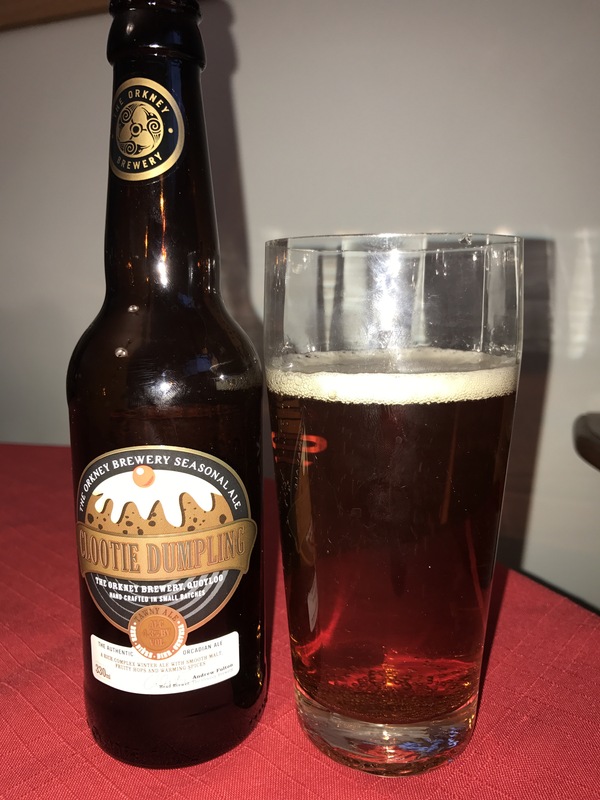 Today we have a winter warmer style beer from Orkney Brewing, aptly located in Orkney, called Clootie Dumpling. Located on the ancient Orkney island, inhabited for over 5000 years, comes a brewery steeped in tradition. 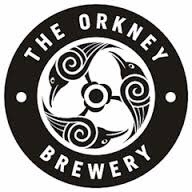 Using only the finest ingredients, fresh Orkney water and their knowledge and skill, Orkney makes fine crafted ales. They brew a variety of different beers ranging from their Northern Light Pale Ale to their or Orcadian ale aged in oak casks, they aren’t afraid to stretch tradition and go outside the box. The style today is a Winter Warmer. While not really a “style” Winter Warmers tend to fall under the British Strong Ale style. Even so, Winter Warmers are malty sweet offerings and tend to be a favorite winter seasonal. Big malt presence, both in flavor and body. The color ranges from brownish reds to nearly pitch black. Hop bitterness is generally low, leveled and balanced, but hop character can be pronounced. Alcohol warmth is not uncommon. Many English versions contain no spices, though some brewers of spiced winter seasonal ales will slap “Winter Warmer” on the label. Those that are spiced, tend to follow the “wassail” tradition of blending robust ales with mixed spices, before hops became the chief “spice” in beer. The “American” varieties have a larger presences of hops both in bitterness and flavor. Appearance – Light amber colour with a 1″ white head that fades quickly. Smell – Smell is light cinnamon, nutmeg, subtle malt and ginger. Taste – Taste is very light on malt with subtle spice notes of cinnamon, nutmeg and ginger as advertised. There is a slight tinny note to it as well that isn’t very pleasant. Mouth feel – Light mouthfeel with good carbonation and a dry metallic finish. Overall – Light for a winter warmer. The spices are nicely done but the malt backbone of this beer brings little to the table and offers only subtle sweetness. Do I like it? – Not bad but not my favourite. The metallic aftertaste was off putting and the light body didn’t work for me on this beer.